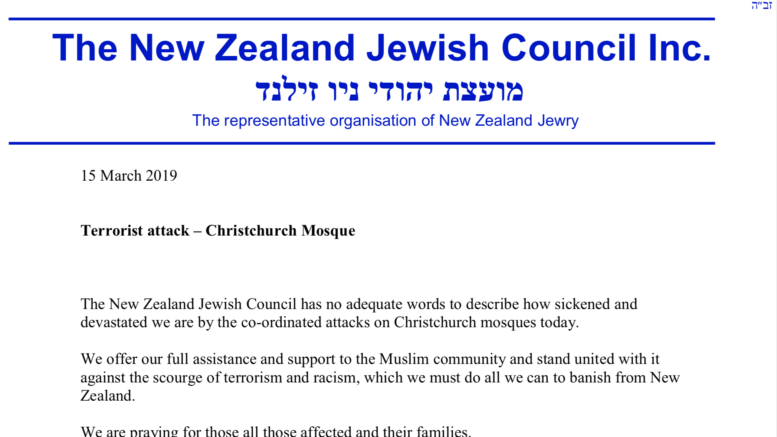 The New Zealand Jewish Council has no adequate words to described how sickened and devastated we are by the co-ordinated attacks on Christchurch mosques today. We offer our full assistance and support to the Muslim community and stand united with it against the scourge of terrorism and racism, which we must do all we can to banish from New Zealand. We are praying for those all those affected and their families.